Opening at the Pawtucket Arts Collaborative, “This Land Is…” presents works of places both natural and mysterious. Most are sweeping landscapes, many are imagined and a few are somewhere in between. There are 55 works to explore and enjoy in this meditative exhibition. Aaron Usher’s Doolough Valley is a take-your-breath-away color photograph of a land made of glacial rock, surrounded by sloping mountains, a sun-lit body of water in the distance, and a sky from which a Divinity might descend. This is when reality captured by a photographic lens is almost hard to believe. How could Usher have arrived in such a spot? Though Doolough Valley is in sharply detailed focus, from foreground lichen to far off cloud formation, it is impossibly beautiful. City Patterns, a lively abstract construction in wood and color by John DeMelim, creates architectural elements and pleasing rhythms in a palette of reds, whites, blacks and blues. Crisp sets of stripes and rows of bright squares march along the surface and meet up with broad rectangles of aging wood with peeling paint. Mimo Gordon Riley’s oil on canvas, Nobody is Running, like Gillett’s work, is an invitation into a mystery. It is both abstraction and impression. A patch of leafy, autumnal underbrush is transformed by light and color and Riley’s intuitive painterly style into gorgeous, overlapping, interwoven, organic shapes. The grassy scene is set as if at twilight, as if seen from below, as by a snake. Nobody is running. Forty of the works of art in the exhibit are inspired by nature-in-all-its-glory. Mountain vistas, oceans and rivers, sky-scapes, forests, sunsets, gardens and foliage are interpreted in a wide range of mediums. The far too few 3D works are conceptual and abstract pieces. They are thought provoking and fun and make you want more. Dotted throughout the show are several vivid depictions of urban scenes as well as strong works interpreting North American historical and political themes. This season-opening exhibition will be on view from September 27 through November 8, 2018. The opening reception for “This Land Is…” at the Pawtucket Arts Collaborative is on Thursday, Sept 27 from 5:30 – 7:30. 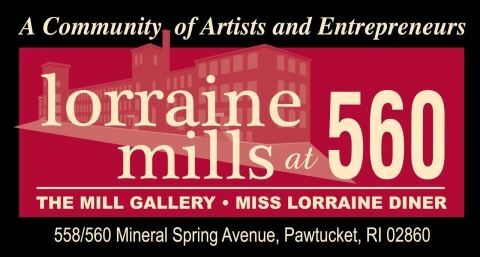 The gallery is located at 560 Mineral Spring Avenue, Pawtucket. All are welcome. Easy parking on the side of building. Wheelchair accessibility is at entrance near the Mixed Magic Theatre awning. Live music by Paul Williams. Refreshments. Prizes announced. Works are for sale. Credit cards accepted. Purchased artwork may be picked up at the end of the exhibition run, after November 8, 2018. Regular gallery hours are Thursdays 5:30-7:30pm; Saturdays and Sundays 1-5 pm. 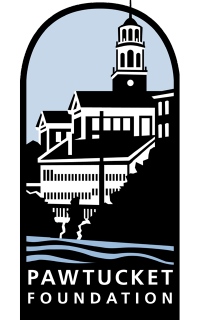 Congratulations to the following artists who have been accepted into this exhibition: Jerry Aissis, Robin Beckwith, Evelyn Blum, Donald Brown, Mi Ok Song Bruining, Peter Campbell, Ally Colon, Joyce Converse, David DeMelim, John DeMelim, Cynthia DiDonato, Robert Easton, Edmund Ferszt, Ann-Marie Gillett, Leslie Godfrey, Carol Hansen, Paul Hitchen, Lorraine Hynes, Ted Jackvony, Bonnie Jaffe, Marc Jaffe, Karen Johnson-Nieuwendijk, George Lowell, Jay Mackay, Virginia Mahoney, Tim McCarthy, Linda McDermott, Angela Montgomery, Rina Naik, Sophia Paliotti, Carolyn Panofsky, Keane Patino Cyler, Valerie Phoenix, Mimo-Gordon Riley, Betsy Ritz, Joan Rollins, Harold Roth, David Schiffer, Beverly Silva, Erin Starr, James Therieau, Elinor Thompson, Roberta Uhlmann, Aaron Usher, Matt Wehrheim, Anne Wert, Cindy Horowitz Wilson, and Mary Wojciechowski.